David Knox - Receiving the 2018 Helis Foundation Award at the Louisiana Contemporary opening, Ogden Museum of Southern Art. On my left is Courtney J. Martin, Chief Curator at the Dia Art Foundation, and curator for the 2018 Louisiana Contemporary exhibit. 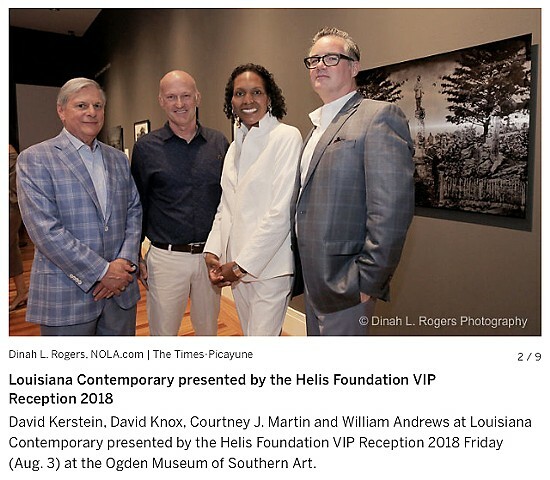 Receiving the 2018 Helis Foundation Award at the Louisiana Contemporary opening, Ogden Museum of Southern Art. On my left is Courtney J. Martin, Chief Curator at the Dia Art Foundation, and curator for the 2018 Louisiana Contemporary exhibit.